Posted on March 27, 2012 by Lupica G.
The Ferrari 599XX is as close as you can get to a 1:1 scale model of the toy Ferrari you messed about with as a child in the middle of the living room. There’s no question of being street legal, there’s no option of racing it in any series on earth and the price tag is so big it’ll make you count zeros like a kid would. Naturally, it’s quite the impressive piece of machinery and in the couple of years since it’s out it hasn’t changed. Until now. It’s now called the Ferari 599XX Evoluzione which must have made for an amazingly busy day in the copyrighting department. 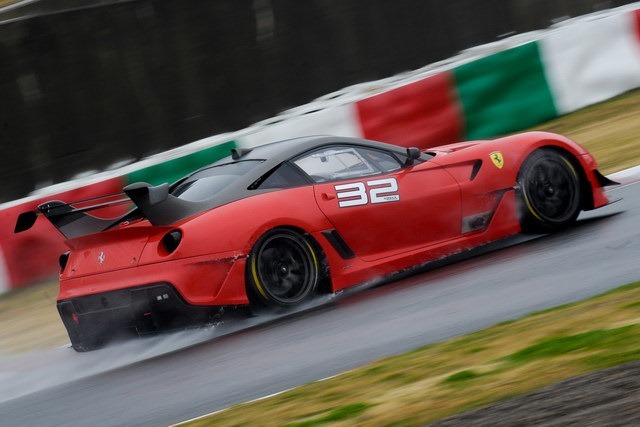 Happily however, the engineering department in charge of the Ferrari 599XX Evoluzione actually came in to work that day and did quite the job. To begin with you get a bit of a performance boost to a total of 750 horsepower and 516 lb-ft of torque from the V12 engine at its heart. On top of that, the 599XX Evo gets an easier job at high speed thanks to the reworked aerodynamics package. Pretty much every bit of the bodywork has been refined. You get a new front splitter, new canards, new headlights, a new diffuser and the rear quarter panel winglets were eliminated. Speaking of wings, that big rear one now gets top of the shelf tech. There’s a Formula 1 inspired Drag Reduction System over there and this is where you’ll be ending the list of mods and have a look at it going round Suzuka for its track debut. 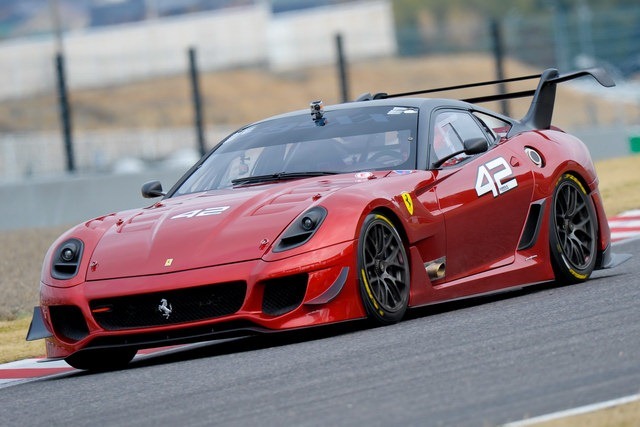 No doubt, Ferrari have worked a bit on the 599XX Evoluzione but I’m not so sure it’s worth the extra $250.000. Especially since you still can’t keep the car. 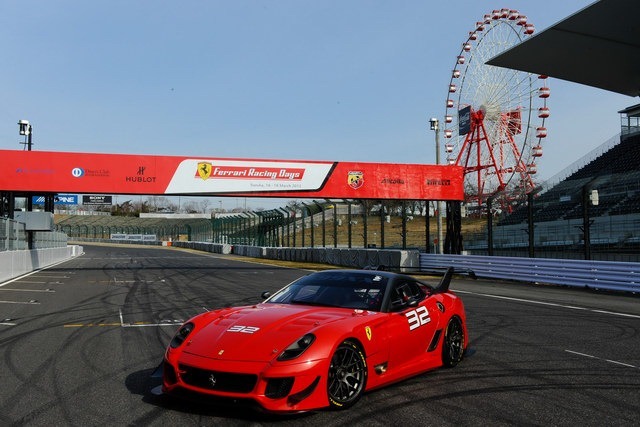 This entry was posted in Ferrari and tagged 599xx, engineering, evoluzione, ferrari, mods, suzuka, track debut. Bookmark the permalink.